I began working with my Broomsage clients about six months ago. They recently moved back to Tallahassee, with three young children, and were ready to personalize their new home. It was a builder "spec" home, which means the home wasn't built with any particular client in mind. Luckily, this family bought it early enough to add a few personal touches before moving in. Broomsage is full of shiplap! It's in the entry foyer, study, dining room and master bedroom. As we have moved through the selection process, I've learned my client wants a more formal look in a few of these rooms. Instead of seeing the shiplap as a design limitation, I am embracing it. I consider it a positive thing when a client has existing furniture they want to incorporate into the design. It gives me inspiration when creating a space. Here is the family room rug we are going to use. Our design plan touches the entire house. We've got formal spaces, family spaces, sleeping spaces and playing spaces! It's going to be a great project with installation scheduled for the middle of June. Can't wait to share the final photos. I love a project where we take the house down to the bones! It's literally like building a new house, but with WAY more challenges and unexpected surprises. In my Armistead project, we're not only renovating the existing structure, but adding on as well. Lots of amazing changes with the biggest one being that we are taking down every interior wall in the main living areas and creating one large open space. See all those dotted lines? Those walls are gone. Goodbye tiny kitchen! The jury is still out and I have time to wear them down convince them that the cement tile is the way to go! In the meantime, we are finalizing lighting and I'm loving the direction. Lighting is such a great place to really interject some personality into a space and is easy to change later. 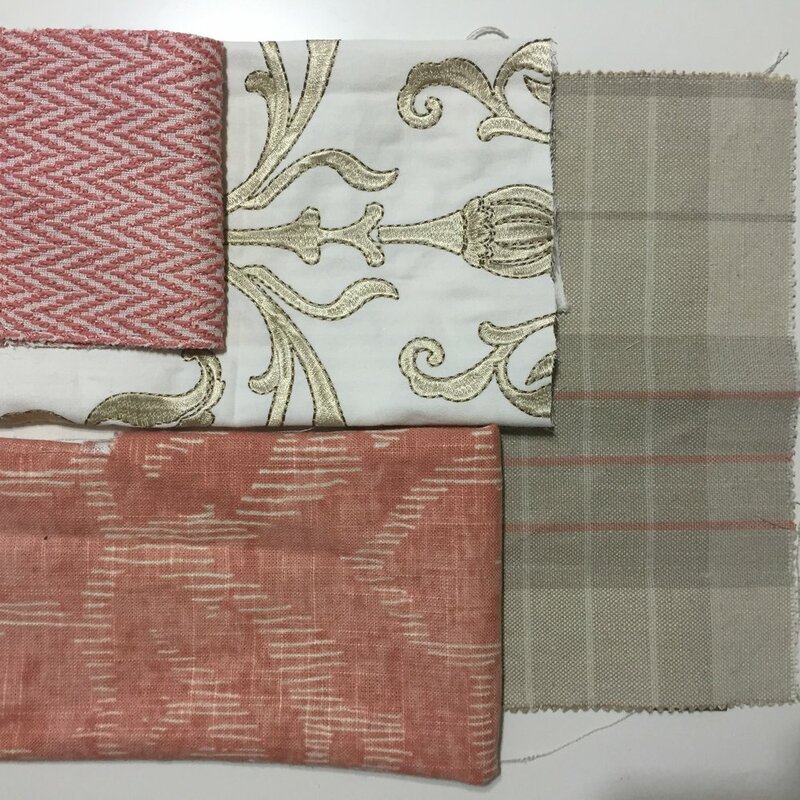 Stay tuned for more updates on this project and many more that are ramping up at Jennifer Taylor Design. It's going to be a busy summer! 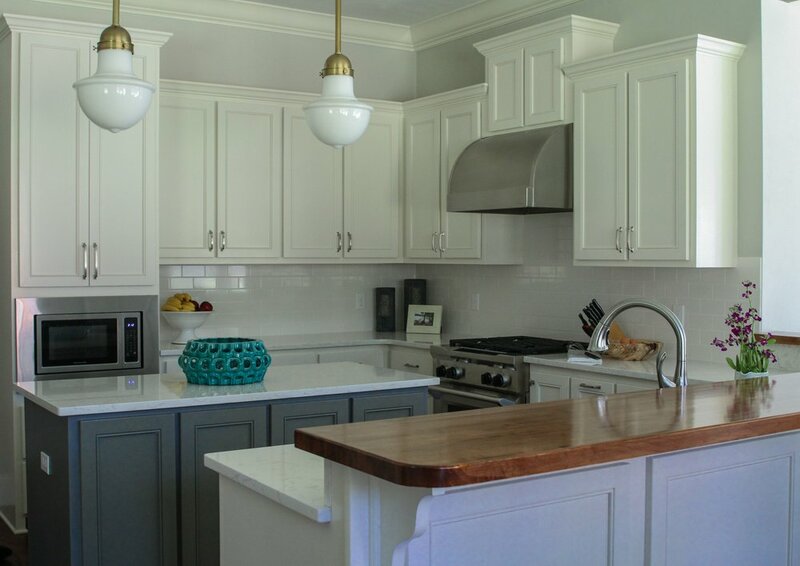 Two months ago, I met with a client who wanted to renovate her kitchen and re-decorate her family room, dining room and office and last week we finished up the last installation. I normally would NEVER take on a project with such a tight deadline, but my client already had her cabinet maker lined up and she agreed to take on the bulk of the furniture shopping. A week later, her cabinet maker had backed out and now we only had four weeks to get cabinets ordered and installed. Jennifer Taylor Design to the rescue! Our cabinet maker was able to step in, get the job done and for less money. Reason #462 to hire a designer. In addition to the kitchen, the client wanted to update the furniture in the main living spaces. To be honest, there was stained oak and brown leather furniture everywhere! To keep Mr. 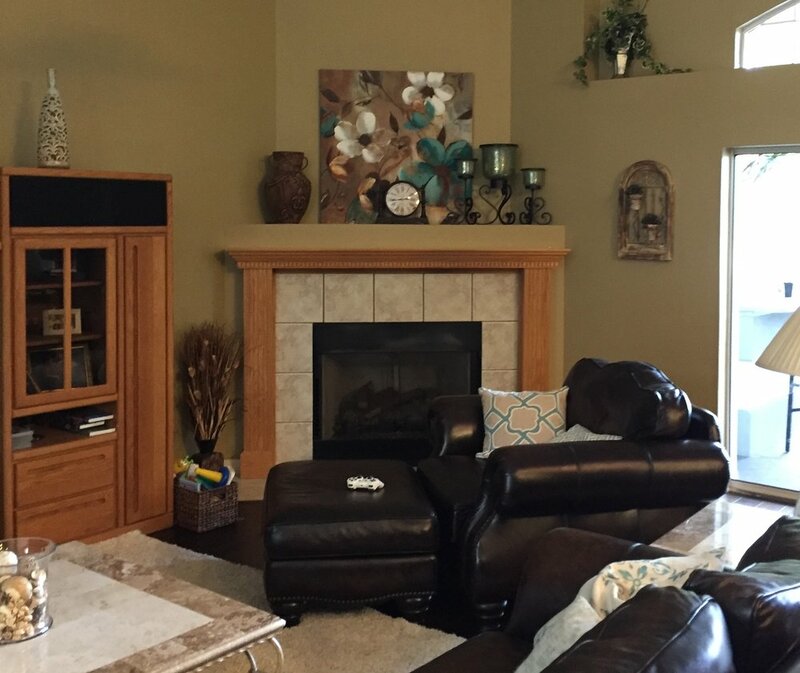 Client happy, we kept the leather sofa, but everything else in the family room was changed. 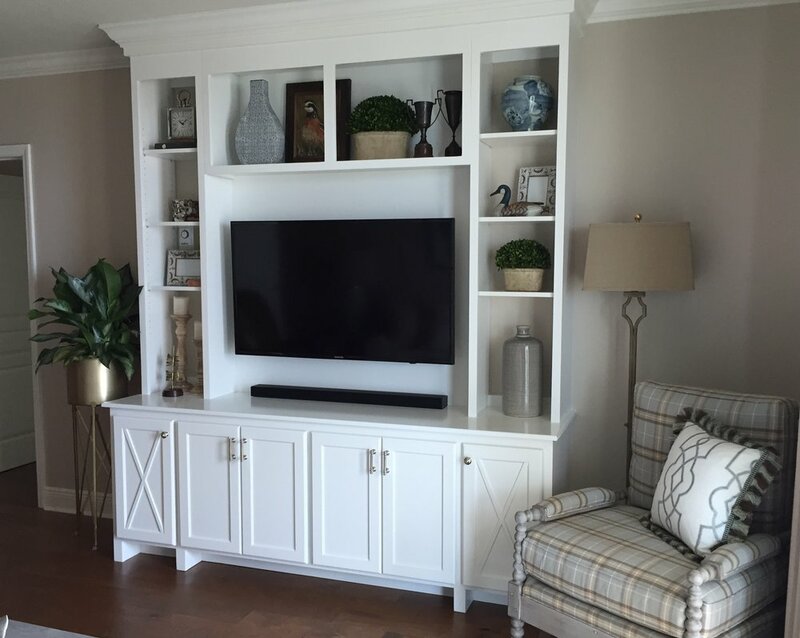 The client had found the chairs and television cabinet at a local furniture store and really liked them, so those were purchased and JTD did the rest. Oh, did I mention we also did a fireplace makeover? The dining room got a complete new look and by doing ready-made drapery panels, we were even able to get the windows dressed. The furniture was also purchased at a local furniture store, so it was delivered within a week or two. I'm not usually a fan of purchasing all matching pieces, but the two-tone wood finish and the fact that the client loved it sold me on the idea.